It’s easier than ever to run a business from your home, but if you’re hiring employees or meeting with a lot of clients, it may be time to wave goodbye to the dining room table that doubles as a desk and invest in office space. Whether you rent or buy your office space, choosing it is a big commitment. Fortunately, many communities offer plenty of great options –and well-trained pros ready to help you make the right call. Here are three strategies to simplify the process. Opt for the minimum viable office space. It’s tempting to splurge on office space that will dazzle both your clients and new hires, but before you do, make sure it’s (a) necessary to the success of your business and (b) priced at a level you will be able to afford even if your sales get slow. Unless you work in a field such as financial services, where prospects may view a luxurious office as a sign of your success, you can probably get by with more modest surroundings. 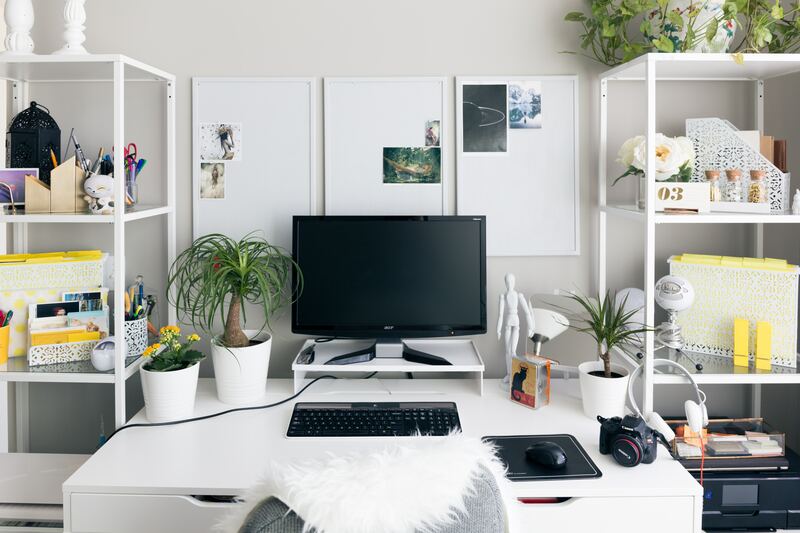 By opting for a well-situated, clean and comfortable but un-fancy office, you can preserve the cash you need to invest in other areas of the business. One way to save a bundle on office space is by operating from a co-working space or business incubator. These flexible workspaces used to be hard to find outside of major cities and college towns, but now they are getting more common in smaller cities and the suburbs, too. Global Workspace Association has a free tool called “Find a shared workspace” that you can use to find space in your area. One advantage of choosing flexible space is it is often possible to rent exactly the amount of space you need—even if that’s just two or three desks—and scale up as you add team members. In many such spaces, you’ll have access to shared amenities, such as a conference room and kitchen, too. And you won’t have to sign a long-term lease, which some traditional office-space providers might require. As a side benefit, you’ll be working alongside other small business owners. That can lead to new business connections and cross-pollination of ideas that will help your company grow. What if you need more elbow room than you can find in a coworking space or incubator—or are ready to commit to more permanent space? That’s when it can be very helpful to work with a commercial real estate broker with expertise in the office-space market in your area. Ask other business owners in your industry for a referral to a broker who knows your community well. The best brokers will want to become a trusted resource whom you will work with for as long as you are in business and can be a great source of advice. When taking out a lease, consider both your present and future need for space. You may only have three employees now, but if, for instance, you are raising capital and plan to hire 20 people in the next year or two, you’ll need to plan accordingly. It’s no fun to move into a new space and find it’s bursting at the seams six months later. If you have to lease a little more space than you need at the moment, consider renting out a few offices to professionals in your community who are looking for flexible space to offset the costs. Your staff will be spending a lot of time in your new office so ask for feedback on any space you choose before signing the lease. Be sure to ask about how it will affect their commute. If you select a space that adds 30 minutes to key team members’ driving time, it could lead to lateness to work or childcare challenges, so it’s best to discuss potential issues like this early. Seemingly small factors—like easy access to several lunch options and not just one—can make a big difference in your employees’ happiness in your company’s new home. Don’t skimp on attorney’s fees. Real estate leases can be complicated, especially if you’ve never looked at one before. No matter how much you like and trust your potential landlord, put any agreements you’ve made in writing and have an attorney who is experienced in real estate transactions review your lease carefully before you sign. Hopefully the roof won’t spring a leak and the A/C won’t stop working in the next heat wave, but if something like this happens, you want to be clear on how it’ll be handled. Similarly, you’ll want to know what happens if you need to end the lease before the term is up, as you may need to negotiate on this. Nailing the details of any office lease can take a little time, but don’t rush the process. If you’ve chosen well, you could be working from your new space for a long time!